My name is Dale Lyles. I am a retired educator who has spent his life Making The Thing That Is Not: creating. I have been the artistic director of a theatre company, a choir director, a website designer, a composer, a painter, a writer, an actor, a dancer, and above all, a teacher. This website is to promote what I have found to be effective ways to allow yourself to be the creative human that you want to be. 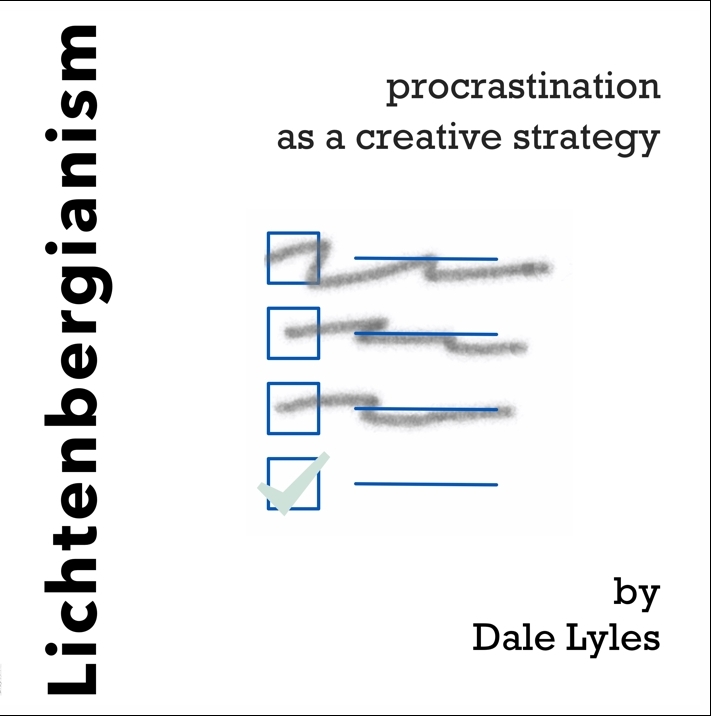 I've written a book — Lichtenbergianism: procrastination as a creative strategy — which is an incredibly handy source of inspiration. You should buy it.